…to not be tied to contracts? Looking for IT Support for your Manufacturing Company? What happens if one of your machines goes down? Does your production line come to a halt? What happens when you lose an important customer or product data? Both the short-term and long-term effect is significant. When the manufacturing line is down, profitability starts declining and customer satisfaction is at risk. PTG, IT company headquartered in Greenville, SC, provides outsourced IT support for manufacturing companies to help keep machines up and running, increase productivity, prevent loss of data, and remain competitive. We understand the importance of keeping the production line running to ensure on-time delivery of products, customer satisfaction, and to maximize profitability. We develop custom outsourced IT support plans that are specific to the customer and tailored to the manufacturing industry. In the event your machines go down, PTG will have you back up and running in as little as a couple of hours. 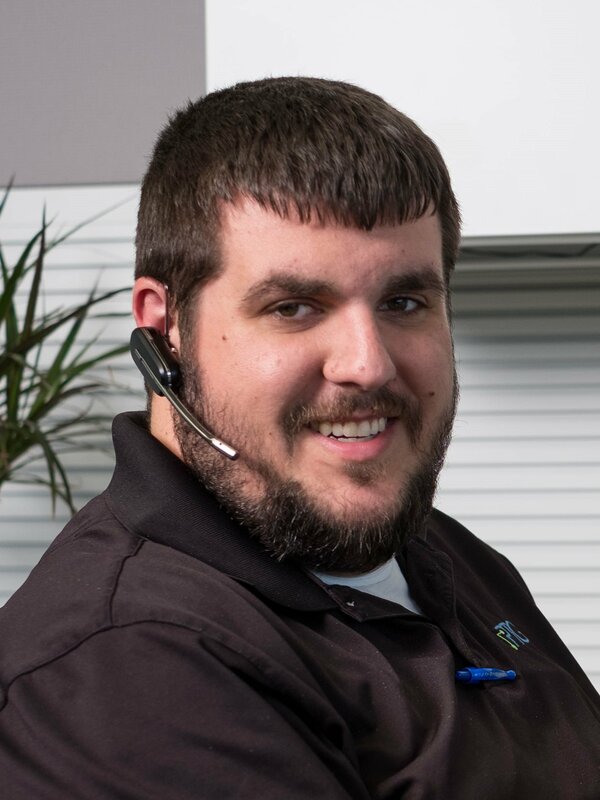 Andrew is a helpdesk technician at PTG, handling everything from installing software and troubleshooting client’s issues to full infrastructure replacement. Andrew has several Microsoft Certifications including Specialist for Administering Office 365 for Small Business, Certified Professional for Administering Office 365, and Certified Technology Specialist for Enabling Office 365. During Andrew’s off time, he enjoys playing music with any of his seven guitars. He genuinely loves music, and sometimes even plays in public! We understand that while maximizing profitability is important – it must be carefully balanced with delivering value. Office 365 allows for just that. Manufacturing facilities benefit from Office 365 for a few reasons -- see Office 365 benefits.